Salt Life offers two things. Visitors to this website will note the opportunity to search for store locations, as well as food shacks. Beyond that, you can also the website to shop for gear and apparel items for men, women, and kids. For both men and women, you can shop for tops, bottoms, hats, and shoes. For kids, you can shop for tops, bottoms, and hats. 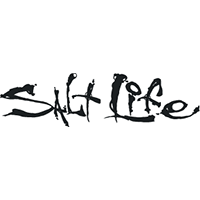 Salt Life offers a range of short sleeve tees, long sleeve tees, tanks, hoodies and sweatshirts, pants and shorts, and more. You can also shop for accessories like bags, beach towels, belts, and other items. An assortment of collections are also available to peruse. For most up to date offers check out Salt Life on Facebook and Twitter or contact Salt Life Support for any questions.